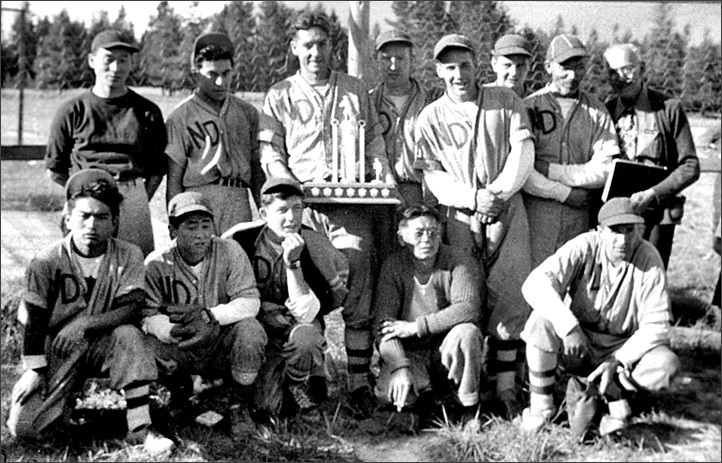 New Denver, 1948 Slocan Valley Champions. Standing (left to right) - Shig Kiyono, Tamo Takenaka, Ray Tippie, ? ?, Bob Butler, Dave Crellin, ? ?, Danny Morgan. 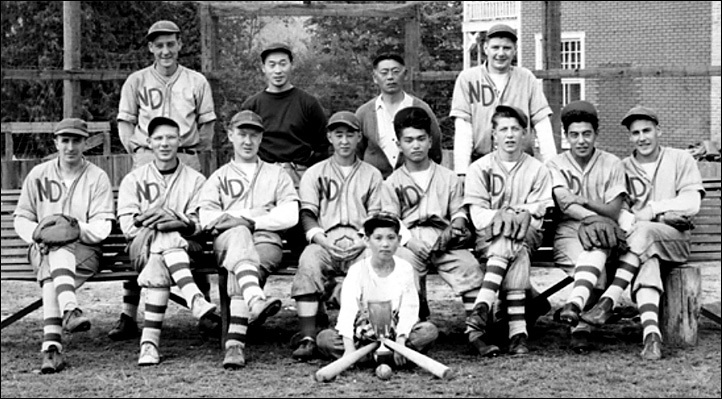 Front row (left to right) - Kuts Hayashi, Mas(Cuke) Yamada, Tommy Pearson, Bob Kumano, Walt Thring.